Spring is here and it’s time to get outside and take part in one of the city’s amazing festivals. This month there are a couple that might interest you as options for an interesting date. 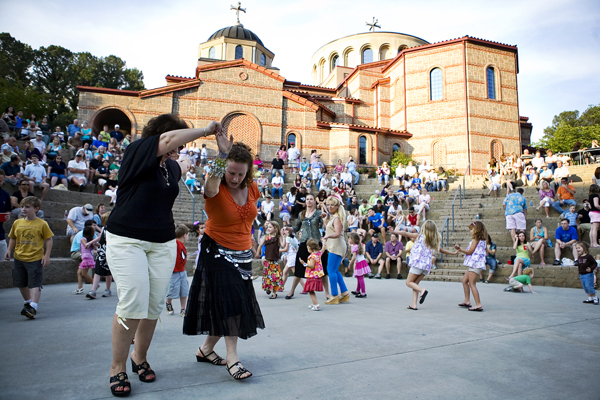 For three days, Marietta will be celebrating Greek culture. You’ll get the chance to try many wonderful Greek dishes, watch performances both traditional and modern and shop for authentic Greek arts, crafts and more. If you’ve got a little Greek in you or just find yourself interested in exploring the culture, head down for a day or two. This great festival brings together two of the best things in the city - music and food. There will be a full line-up of talented artists to keep you entertained with live performances and, for your stomach, a gathering of Atlanta’s food trucks that is the largest of the year. So stop off and sample everything that the festival has to offer.